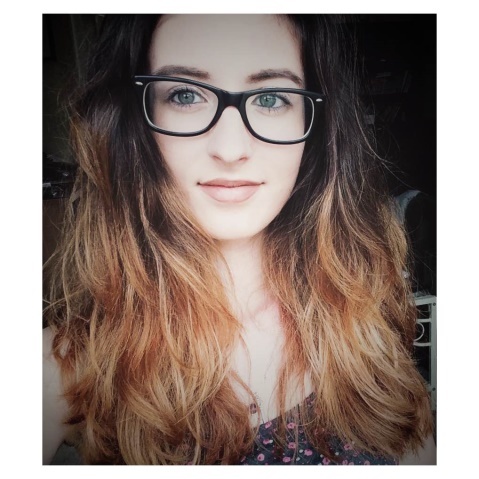 I have been a mental health blogger for the last nine months, having suffered from mental health issues for the past two years. I have also been the friend to many friends with different mental illnesses, ranging from depression to bulimia, from anxiety to borderline anorexia. In my experience so far I have found that there is a lot of support for those who are mentally ill, but not as much for those who have to be their support system. Here are some simple steps to help you if you find yourself in the position of caring for or supporting a friend or loved one through their battle with mental illness. If you find yourself suspecting that a family member or friend has a mental illness, you may also find that they remain undiagnosed. And it can very quickly feel like you have to support them and that it’s your job to try to convince them to get help. It can become a horrible situation. My advice is that if your friend is school age, I suggest that you talk to a trusted teacher or the school counselor. I have been in this position with a couple of friends, and I know it can be scary and that you may be worried that your friends will hate you for talking to an adult. But, if their health is in danger, the most important thing you can do is to help them get the support they need. You are not supposed to carry the burden on your own and talking to a teacher or counsellor will also help you get support. With time, even if your friend is angry, they will realise that you did what you had to out of love and concern for them. Some friends, however, are over the age of 18, and this changes the situation considerably. The only thing you can do is to talk to them about your concerns and support them. Offer to visit the doctors with them, making a very scary step less daunting. Support them regardless of the choice they make. Some people choose not to seek professional help and as an adult, they have the right to choose their path. Remind your friend that you are here for them and be persistent in letting them know. There are a number of ways people tend to react when they realise their friend or loved one is battling a mental illness. It’s easy to become angry that your friend is dealing with something so serious, especially if it is a family member, but anger doesn’t help anyone. I think the anger is more hurt that the situation is out of our control rather than a direct anger at the mentally ill person. Or even an anger at ourselves for not having noticed sooner. It’s easy to become angry that your friend is dealing with something so serious, especially if it is a family member, but anger doesn’t help anyone. I think the anger is more hurt that the situation is out of our control rather than a direct anger at the mentally ill person. Or even an anger at ourselves for not having noticed sooner. Some people make a joke out of the situation as they don’t know how else to deal with it, but this really isn’t a helpful reaction as it can lead the person who is ill wondering if what they are feeling is serious enough for help. My advice is that the best way to react is be honest about how you feel. You may find you lack the words to convey your feelings, and this is completely ok. Just like with any illness it takes time for all those involved to process it. But it is important to discuss the matter because if you ignore the issue, it can put a strain on the relationship and make the person who is mentally ill feel guilty. So the best way is to try and be honest, caring and to stay calm and talk it through. Education without action is ineffective. If your friend or family member has started working through a mental health plan and you have come to terms with the fact that you play a role in supporting them, it is a good idea to educate yourself on their illness. It can be hard to sympathise and accommodate their needs if you don’t know much about their mental illness and can make it more challenging for you if you don’t know any strategies to support them with. Gather information through reading, podcasts, social media support groups, getting help from a counsellor or psychologist and asking your friend what they feel they need from you. Talk to other friends and family members about how you are managing your role as a carer and lean on their support. Make sure you have a few strong people in your life who can help you to come to terms with how to support your friend or loved one in their fight against their mental illness. The most important thing I would like you to take away from this post is that you need to put yourself first. It is very easy when dealing with a friend or family member who is mentally ill to put all of your energy into trying to cure them. The truth is that you cannot cure them, you can only help them. It is important to give yourself time and to look after yourself because things can easily become overwhelming. Remind them that you are there to support them through this and that they are strong enough to fight and win their battles. It took me a long time to learn that I couldn’t cure my friends and in the process made my own mental health worse. If you are feeling emotionally exhausted, worried or overwhelmed by supporting someone in your life, I encourage you to find additional support for yourself, such as talking to your doctor or to a psychologist. Just like you are told on a plane, you have to save yourself before you can save anyone else.